So Hideous, formerly known as So Hideous, My Love, is back with a new full length, Last Poem/First Light. Although they now have 50% less name, they make up for that in enthusiasm, bombast, and sheer number of personnel: the quartet recorded the album with help from a mini-orchestra, including 10 string players, a tuba, and choral voices. Stylistically, So Hideous falls somewhere under the post-rock/post-black metal realm. Black metal's corrosive shrieks and tremolo-picked guitars are joined with shoe-gazey waves of sound and over-the-top emotion. "Over the top" is a pejorative term more often than not, but I'd have a hard time thinking of another way to describe the sometimes overwhelming passion expressed in the music. Their closest contemporary is probably Deafheaven, but whereas Deafheaven mine the sounds of 90s alt rock, So Hideous leans more on classical composition. Adding orchestral elements to rock or metal can be a dicey proposition. Every time I think of aging bands (who shall remain nameless) hiring a full orchestra to re-record bloated covers from their own back catalog, I get more than a little eye-rolly. So Hideous avoids that problem by making the classical components integral to their compositions. The album's strongest cuts, "My Light" and "Rhapsody," sound like seamless wholes, rather than black metal songs with orchestration slapped on after the fact. I also hear elements from instrumental post-rock bands like Explosions in the Sky, like in the delicate melodic line that erupts into a full storm at the beginning of "Last Poem." The lyrics I've read don't suggest any particular religious affiliation, but in an interesting twist, some of the songs are almost hymn-like. The album-closer "Glory" in particular has an almost-religious, rapturous feeling, and "Stabat Mater" takes its name from two Christian hymns about Mary. The emotional heft of the song seems more in line with "Stabat Mater Dolorosa" ("The sorrowful mother stood"), but "Stabat Mater Speciosa" ("The beautiful mother stood") might be equally apt, in the way that sorrow can also have an element of joy. Clearly this is something that traditional black metal bands would be leery of, but the beauty of the newer black metal scene in particular is its willingness to expand well beyond orthodoxy. Fans of full-bore, emotional metal with nothing held back would be well-advised to check this out. 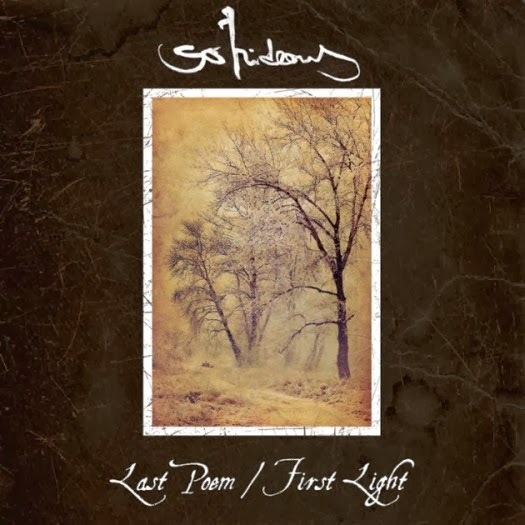 Note: Due to So Hideous signing with Prosthetic Records, Last Poem​/​First Light is back to pre-order status with a 29 April 2014 release date, coinciding with Prosthetic's release of the vinyl version (more details on the Bandcamp page).